Calgary and Southern Alberta are famous for intense and often surprising temperature fluctuations. Thankfully, the experienced team at Claw Roofing understands and is familiar with all types of weather. If you have the luxury of choosing your roof renovation and can plan it out, the months of June, July, August and September typically offer the most pleasant weather. January, February, October, November and December are among our driest months. May is recorded as being our wettest month of the year. However, sometimes, we don’t have the luxury of waiting when it comes to roof repair due to extreme water damage, health concerns or storm damage. Our devoted team is equipped to handle all of your roofing requirements. Locally owned and operated, the dynamic team at Claw Roofing in Calgary is used to working hard regardless of the season. We specialize in flat roofs; however, have the knowledge and experience to repair, remove or replace any type of roofing material. Our dedicated crew always completes residential and commercial jobs on time and on budget. Based in Calgary, we are fully aware and equipped to handle your roofing requirements all year round. We are available at your convenience and will take all precautions necessary to ensure that your roof removal, repair or replacement is conducted in the safest and most secure manner possible, no matter what Mother Nature has in mind. Conducting regular roof exams can help you become aware of any issues as they arise. Perhaps you are noticing water staining or lifting paint within your residence. Many clients’ first become aware of a roof problem due to tell-tale interior signs of damage. Stay ahead of your roof issues by capturing any issues in their infancy. You could potentially save thousands of dollars and a multitude of health concerns by addressing your residential and commercial roof issues right away. If you are dealing with an old roof and noticing moss, water issues, lifting shingles or any problems at all, it may be in the back of your mind that an inevitable roof replacement is on the horizon. 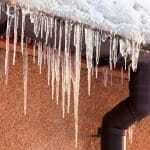 Ask yourself if the current state of your roof can last another season? Is any pet or person in the home dealing with chronic flu-like symptoms? Would budgeting now help you in the long run? Call Claw Roofing to arrange a roof consultation and let us help you determine the extent of damage and provide you with an adequate timeline. Our team is happy to inspect your roofline and provide an estimate so that you can budget accordingly. We strive to provide a roof and the information you require to help you enjoy your new roof for longer than its’ anticipated lifespan. Educating yourself on the do’s and don’ts of proper roof maintenance and what signs to look out for (such as rusty chimney flashing) can give you a heads up of any issues you need to address. Putting water damage on hold only leads to larger bills later on and can lead to health and wellness issues your family can do without! Call Claw Roofing in Calgary today to get the low down on the status of your roof. Together, we can implement a plan for success! Don’t take our word for it…check out some of our testimonials here!